By now maybe you have heard of Tresor Rare skin care products. Would you like to know what other consumers are saying about the prestigious cosmetics? Of course, you should. 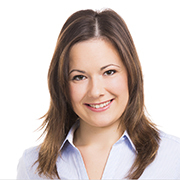 The feedback will help you make an informed choice about your skin’s health and appearance. If you have already used the products, be generous enough to let the world know about your experience with the prestigious products and their sellers. Well, how do you do that? You can always count on TresorRareReviews to share your feedback and also to access unbiased reviews of the products and their sellers. We have years of experience in reviewing varieties of product and one thing we assure you is that we don’t play trick games. We understand the importance of honesty and we know that you need credible information to make a smart choice for your skin. Our reviews are based on scientific research proofs and genuine customer feedbacks. We believe frankness is the foundation of long-term relationships with our clients- which is our main priority. The site will also frequently give you some informative tips on how to get that glowing skin that you have been dreaming of. 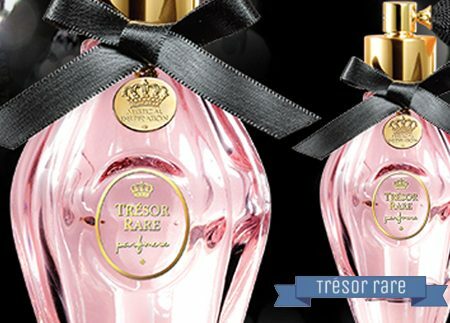 We independently review Tresor Rare brand and products and offer customers a platform to share their reviews and their experiences with premier products and shops. We, therefore, help you make an informed choice of the best skincare products for your face, eyes, neck or whole body. You will also know about the popular shops that sell the cosmetics. Our team of experts research on the components of the products and their impact on your skin and share their findings with you. As an independent site, we are free to give our honest and unbiased research results; that’s what we exactly do. We inform you various products from Tresor rare and their correspondent uses, target consumers, ingredients, price, uniqueness and their approval for human use. The site also provides frequent updates on the performance of Tresor Rare brand. Besides, the site reviews the shops that sell Tresor products. You will come across customers sharing their shopping experience with the outlets. You will, therefore, be able to identify the best sellers of the premium cosmetics. We also encourage the existing consumers to share their experiences with the products. We listen to them and allow other people know what they feel about the cosmetics. The site editors don’t manipulate or alter the feedbacks; they post exactly what the consumers say. We also offer directions in case a customer needs help, for instance on how to apply a particular Tresor products so that they get the best value from it. Skin Care is not a one-day practice- it is a continuous process that needs one to be informed. 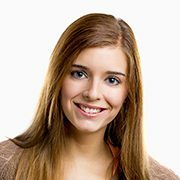 TresorRareReviews appreciate that and thus it frequently updates you with unique tips on supporting the integrity of your skin and holds your hand to the best solution for your skin needs. You don’t have to be stranded in deciding which serum will go well with your skin or where to get it. You will get that and much more information just right here. You can always rely on TresorRareReviews for numerous genuine reviews that keep on streaming in daily. Moisturizing the body is just as important as moisturizing the face. The Imperiale Creamy Body Mousse has left my skin feeling well nourished. I love the subtle scent it has which is not too overpowering. Tresor Rare is one of the only brands which has completely amazed me. Their skin care and cosmetic products are all exceptional. I am very pleased with how their products perform. I highly recommend Tresor Rare to everyone who wants to look good and feel good about their appearance. My mom and I decided to stop by a Tresor Rare store a few months ago just to browse their products. Ever since, we have been regular customers. I love how they provide excellent customer service and work really hard to create high quality products. Choosing the right products is important in making sure that my skin looks its best. I love investing in Tresor Rare products because they’re completely safe and effective.